Morning and welcome to my first Work in Progress post of the year 2014! Towards the end of past year I realised that I was no longer actually making things that I enjoyed making, or that I would actually wear myself, or that provided much of a challenge. In general I was just making up stock for my craft fair stalls and the commissioned items I made were very similar to the stock I was making up. So, this year I am always going to have a 'me' project on the go.....something different, something I have always wanted to do, something that will challenge me....and this is what I will feature on these WIP posts. So the story behind this weeks WIP began in the Summer when I was asked by my friend Dan to make him a winter hat, and I had free rein over what I made. Unfortunately this came at a time when my wrists were knackered with RSI and in the little time I was able to knit or crochet without pain I had to make stock for aforementioned craft fairs. After numerous Google and Ravelry searches I came upon this hat, called the 'Constantine Hat' by Buttons and Beeswax. Faye designs some lovely knitwear so please do have a look at her patterns (I also bought the pattern for the matching gloves as a treat for myself!). I thought that it would work well as a unisex hat, plus it would challenge me a bit more than my recent projects (I had to learn new skills such as the long-tail cast on). 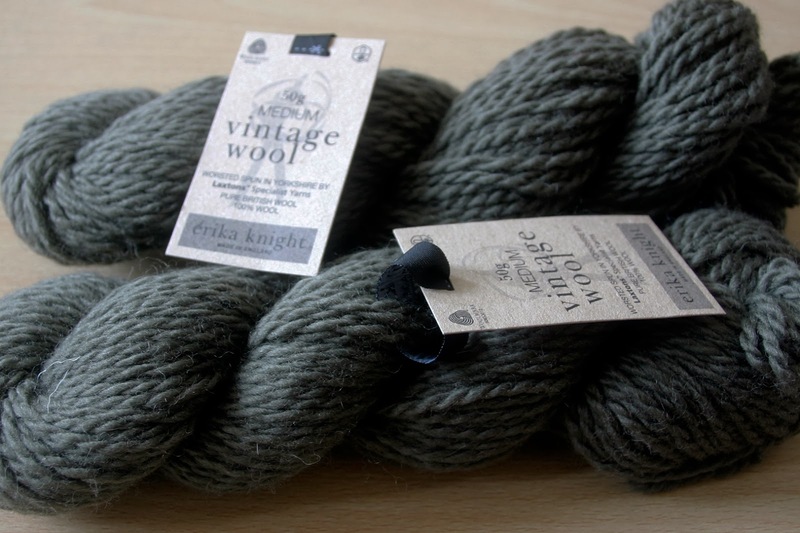 As recommended by the pattern I used Erica Knight Vintage Aran in Gunk. I even made a swatch- a first for me! 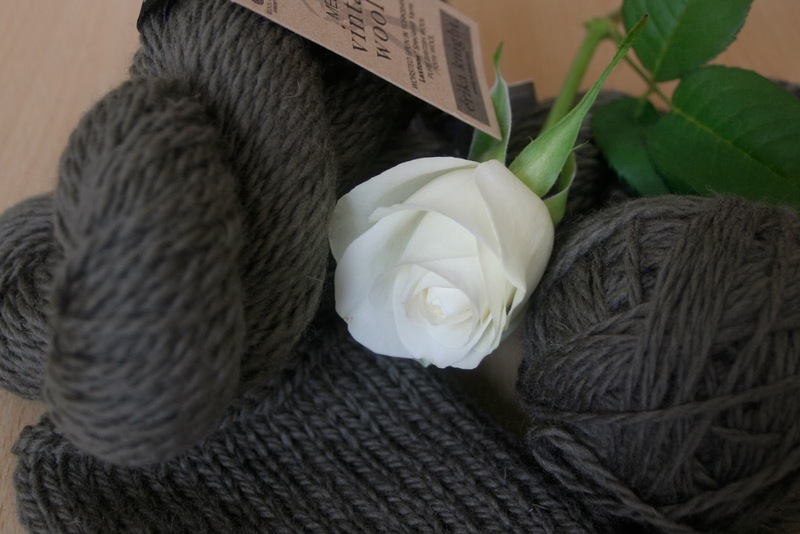 As always when I start a project with double-pointed needles I got in a bit of a muddle.......twisted yarn......stitches falling of the ends of the needles.......However, once I had got the first couple of rounds of ribbing down I was away! 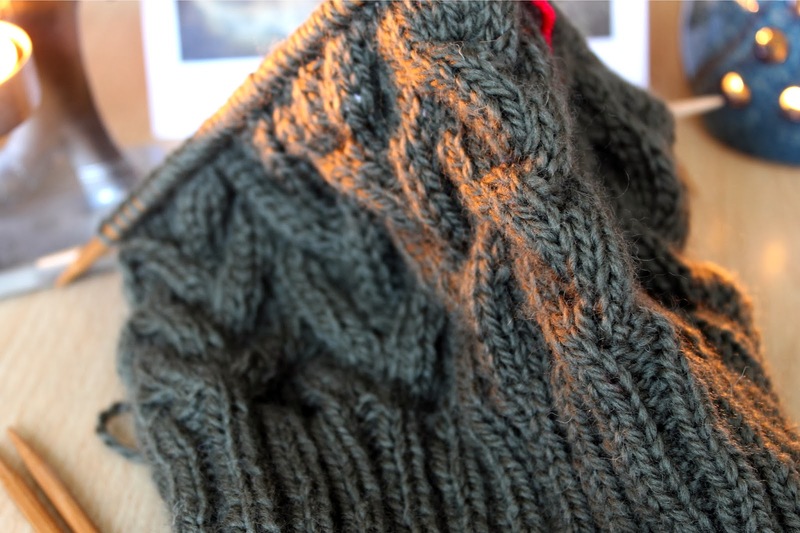 It has been a pretty quick knit so far, and I hope to present it to Dan by the end of the week. 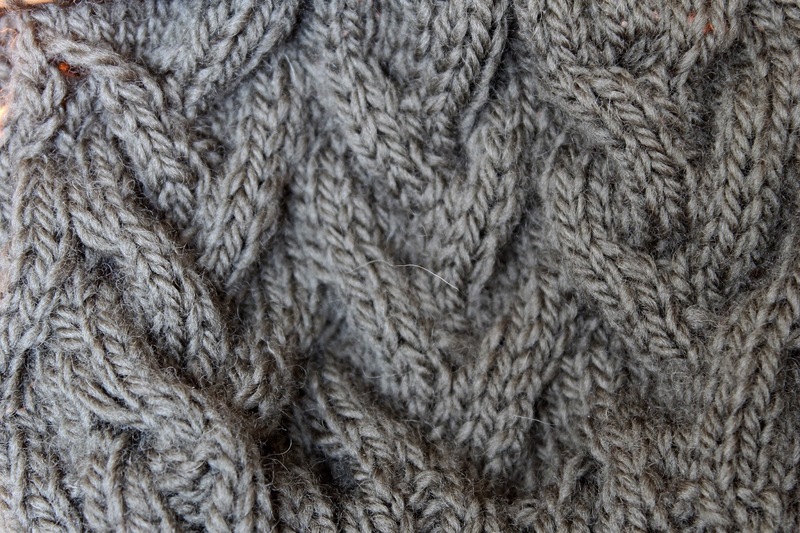 Here's a close-up of the cables. They are a bit scrunched up in this picture as I didn't want to risk loosing stitches off the ends of the needles stretching it out. 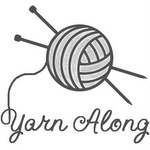 Joining in with Ginny's Yarn Along today to see what everyone else has been making over the holiday season.